Please allow me to indulge in a little bit of self-promotion. My first (I hope!) book, which is the product of my PhD dissertation completed at the University of Reading in 2011, has just been published by Routledge. 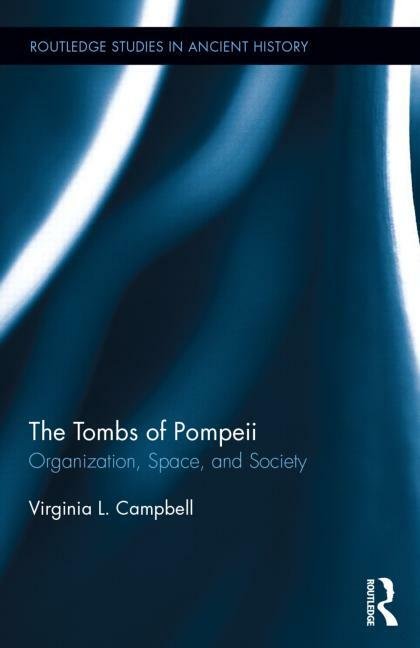 This book offers a comprehensive overview of the tombs of Pompeii and its immediate environs, examining the funerary culture of the population, delving into the importance of social class and self-representation, and developing a broad understanding of Pompeii’s funerary epigraphy and business. The Pompeian corpus of evidence has heretofore been studied in a piecemeal fashion, not conducive to assessing trends and practices. Here, a holistic approach to the funerary monuments allows for the integration of data from five different necropoleis and analysis of greater accuracy and scope. Whilst this project is not necessarily directly related to my current work on SNA in Pompeii, it certainly was the influence, as it was getting to know the people who built their tombs through the funerary inscriptions that got me interested in looking deeper into how the social community functioned. If anyone is interested in the book, it can be purchased at Amazon, and directly from the publisher. Finally, for anyone in Chicagoland, I will be giving a free lecture on the tombs of Pompeii at the Geneva Public Library on the 29th of December. Further information can be found here.